We will continue to add free downloads so visit us on a regular basis to get more free software. 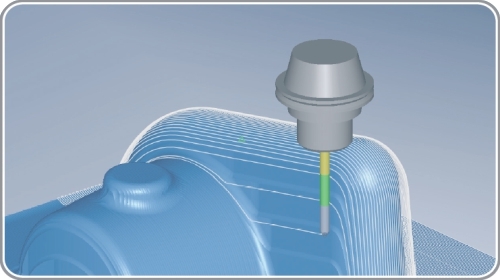 CIMCO Edit is the latest version of the most popular CNC program editor on the market. 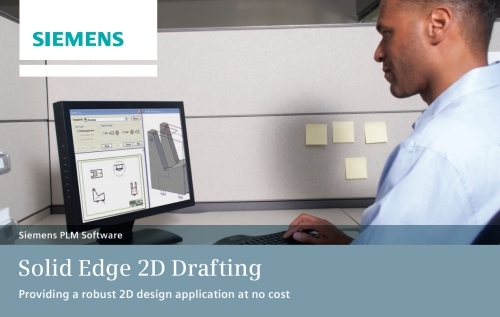 With over 80,000 licenses distributed in the past few years, CIMCO Edit is the editor-of-choice for professional CNC programmers who demand a full-featured and reliable, cost-effective professional editing and communication tool. Every aspect of CIMCO Edit is new, from the multi-pane tabbed layout to the dynamic toolbars and menus. CIMCO Edit also includes new and powerful tools such as an enhanced file compare utility, a reengineered graphical backplotter, and the new NC-Assistant programming tool. 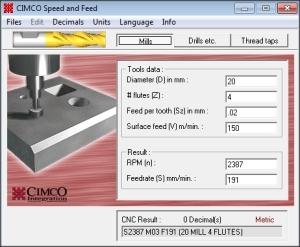 Cimco Speed and Feed helps you to calculate feed and speed parameters for mills, drills and thread taps. It provides a friendly graphical user interface designed with intuitive buttons and menus. To calculate RPM and Feedrate, you will need to enter several values for parameters like: diameter, feed per tooth, surface feed. You can switch the units between inches and metric.